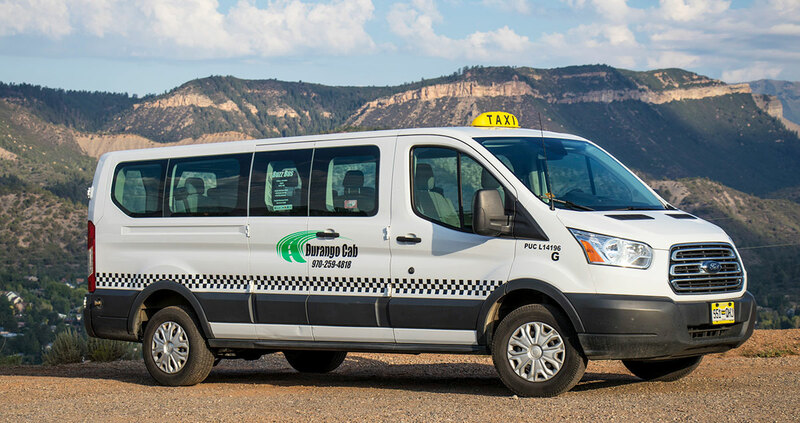 24/7 on-demand passenger transportation serving a 100 mile radius of Durango, Colorado including locations such as the Mesa Verde National Park, the Purgatory Ski Resort and the towns of Silverton, Pagosa Springs, and Telluride. 24/7 Special delivery services for any item legal to transport that our vehicles are capable of carrying. Durango Cab is a certified Colorado Health First (Medicaid) Transportation Provider in the state of Colorado for both Non-Emergency Medical and Non-Medical transportation. We enable a greater level of accessibility to life sustaining and healthcare needs for eligible Members. 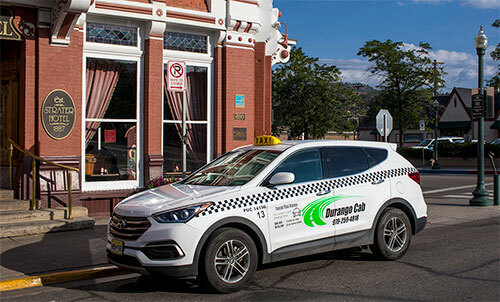 We coordinate with respective health care providers, La Plata County Human Services and the San Juan Basin Health Department to provide transportation for Colorado Health First (Medicaid) Members. 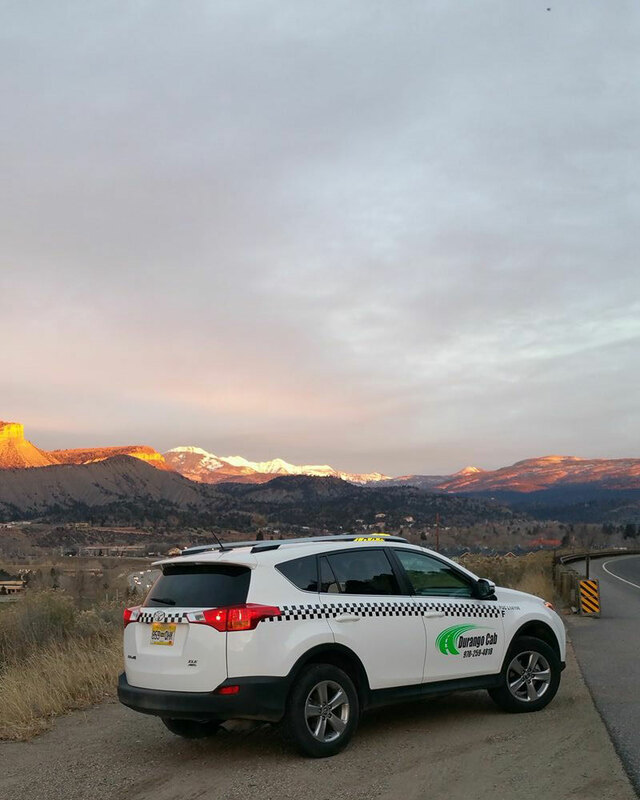 Our service area is a 100 mile radius surrounding Durango; this encompasses locations such as the Mesa Verde National Park, Purgatory Ski Resort, and the towns of Silverton, Pagosa Springs, and Telluride.